Boys vs Girls, The ULTIMATE Challenge! 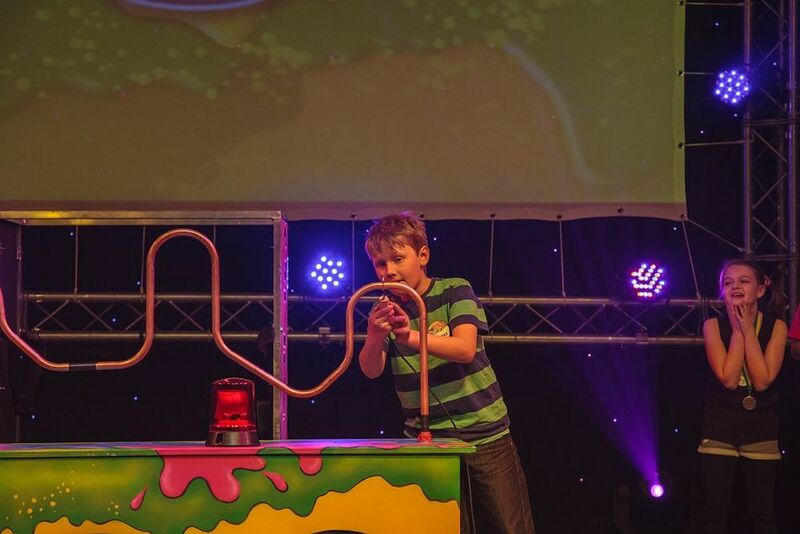 The crazy smash hit family game show live on stage at the Princess Theatre, Torquay on Tuesday 13th and Tuesday 27th August 2013! Starring Anna Williamson, Iain Lauchlan, Craig Hollingsworth and YOU! Join Anna Williamson (Toonattik, Camp Orange and Daybreak), children’s television legend Iain Lauchlan (Fingermouse and Play School) and the hilarious Craig Hollingsworth for a crazy slime and custard pie-filled adventure game show where contestants compete against each other in the ultimate boys versus girls competition to prove who is superior! Contestants take part on stage in a variety of fun challenges. But who are these contestants? The contestants will be you if you’re up for it! Your brother, sister or friend, your dad, your mum, your granny or your grandpa. There will be cheering, there will be booing, there will be guaranteed mess and mayhem, but most of all their will be lots of fun and excitement! If you’re part of an organisation, group, team or school and want to take part in the show we’d especially like to hear from you.